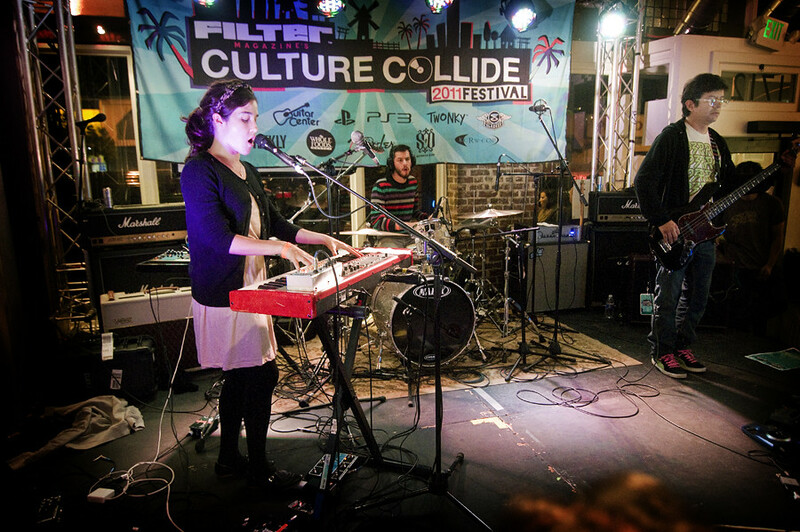 Ximena Sariñana performs during Culture Collide last month. Wow. Watching TV, I just saw another commercial with a familiar song. It's the new Pop Up Pop Tarts Joylicious commercial with that catchy tune and the cute pink critters. Although the sample was pretty short, I recognized the song as the intro to "Different" by Ximena Sariñana off her new second album - her first with English lyrics. She just announced her first headlining US tour which began this month. A recent full page feature in The New York Times praised her new album. A Grammy nominee, Ximena is well known in Mexico as an actress. Musically, her playful synths and catchy tunes inject flavors of her homeland like in her first single "Different" which she co-wrote with Rancid's Tim Armstrong. Pop Tarts Joylicious Commercial featuring "Different" by Ximena Sarinana.